The outdoor area is beautiful. The rooms are small but nice. Stocked with a mini fridge and hair dryer. They have a TV in each room and I also really liked the hand soap, body wash and lotion they provide. It smells so good! The beach is nice and ocean views are awesome and worth the extra money! Second floor poolside has the best views of the ocean! The breakefast voucher is good for kids but very limited for adults and not worth it as it is very restricted as to what you get. They have a full restaurant with menu full of delicious options! Plenty of parking and close to tons of shopping options. It's located on the rainer side of Maui however, so we found ourselves driving to Kihea (about 15 minutes away) for better weather and swimming! Charles Young beach is beautiful and amazing! We seen sea turtles most times we were there. They swam right past us! We also seen small fish and even whales out in the distance as we swam and sat on the beach! The hotel is the way it was in Hawaii before large corporate Resorts dotted the beaches. The Maui seaside is very comfortable, clean but not a cookie cutter resort. Only needed an overnight place to stay after arriving on Maui late night. Clean, efficient staff, great location and view. It's a nice little place close to all the big stores. The only issue we had was the air conditioning. It's very loud and right next to the bed. So we opened the windows but the room still didn't cool down as much as we'd hoped. The restaurant was great and super convenient for breakfast. The staff was kind and curious. Restaurant on site. The purchase of prepaid breakfast vouchers turned out to be a nice Affordable benefit. Good meals, great service. Nice little pool and staff was very helpful all the way around. Decent hotel for the money. Great place to use as a base for day activities. Room was neat and clean. The hotel sits next to the ocean, and was very convenient, and close to shopping mall. Tante restaurant offers great breakfast and lunch. Within a short walk of Queen Ka’ahumanu Center, Maui Seaside Hotel is within a mile (2 km) of Maui Arts and Cultural Center. This 188-room hotel has conveniences like a restaurant, a private beach, and an outdoor pool. Full breakfast is offered for a fee each morning from 7 AM to 11 AM. The onsite restaurant is perfect for a quick bite to eat. Guests can expect to find free WiFi and 24-inch a flat-screen TV with cable channels. The bathroom offers a hydromassage showerhead, hair dryers, and free toiletries. Other standard amenities include a refrigerator, a coffee maker, and a ceiling fan. 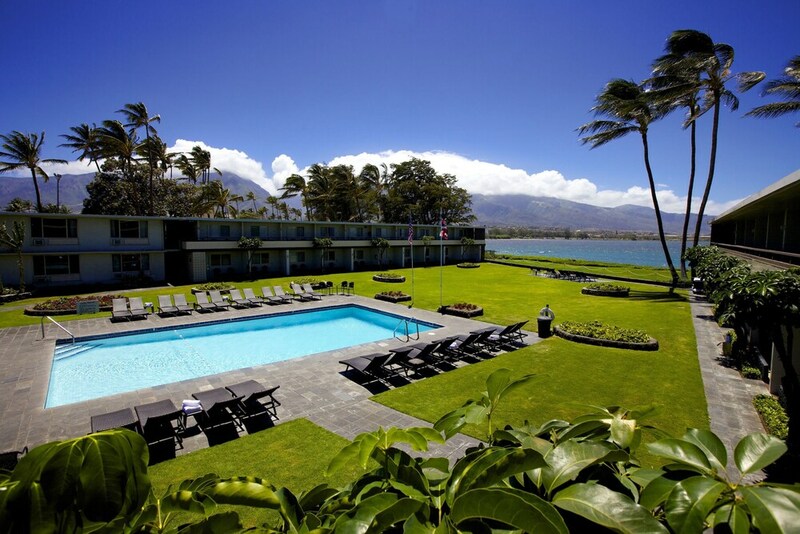 Guests of Maui Seaside Hotel enjoy an outdoor pool, free WiFi in public areas, and a meeting room. Self parking is available for USD 10.00 per night. The 24-hour front desk has staff standing by to help with luggage storage, concierge services, and securing valuables. Additional amenities include a computer station, laundry facilities, and a garden. Thank you for staying with us. We appreciate your honest feedback! Recreation features at Maui Seaside Hotel include an outdoor pool. Rent for Less Maui - 4WD Xterra With Tepui Roof Tent - Glamorous Camping!! !